Sitting by the gentle Russian River in Northern California. Based on a real September trip to Monte Rio, California. 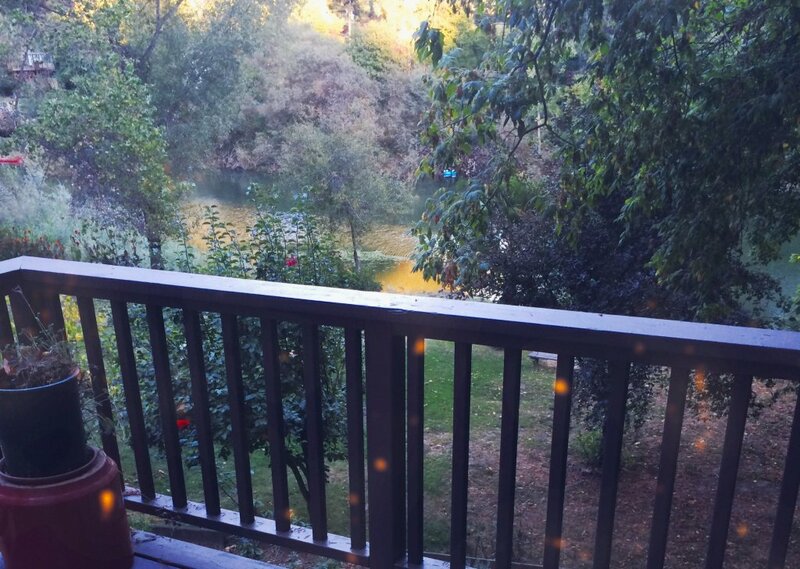 Relaxing on a balcony overlooking the quiet Russian River, enjoying the sounds of the evening with a glass of wine and some local bread and cheese. Comments for "A California Riverside Evening"
License details for "A California Riverside Evening"